For 10 minutes on Friday afternoon, students dressed in flamboyant dresses and colorful attire will be joining one another for a dance in celebration of love. 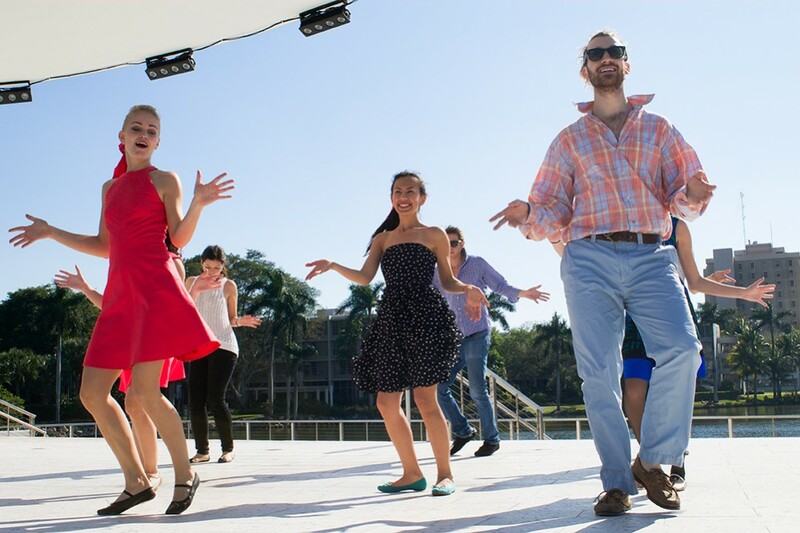 As a symbolic gesture of saying “I love you,” a Valentine’s Boogie Woogie flash mob dance will unite students to enjoy a dance as they come together. The dance will begin at 2:30 p.m. Friday on the Student Activities Center (SAC) patio. Students are encouraged to wear bright and colorful clothing and join the Russian and Eastern European Club (REEC), Francophone Association of Ibis Students (FAIS), Council of International Students and Organizations (COISO) and others in a bonding dance. The idea for a Valentine’s Day flash mob dance was brought up by REEC member Diana Khromova, who thought it would be an opportunity for students to come together to celebrate the holiday by dancing to a Russian Swing dance song. “I was going through my friend’s audio list on her iPhone and some of the Russian songs would be just displayed with hieroglyphs so I simply chose one of those, by accident … and there it was, the song that I immediately imagined lots of people dancing all together in colorful bright clothes on campus. It is the main theme song from a movie called ‘Stilyagi,’” she said of the choice of music for the event. COISO Senator Kamila Orlova thought the idea was a chance for students to have fun with one another and make the event a possibility through planning. “Music is an international language – the simplest one, the one no one has to learn, it just come naturally, and thus, when people hear the music and the beats, and especially see some people dance in a crowd, they will want to join them and have fun,” Orlova said. The swing dance was selected because of its playful and energetic style that gives students a quick break from busy schedules. “It’s a perfect chance to have fun, dance, take cool pictures all dressed up and store great memories about this day,” Khromova said. For those looking to learn some of the swing dancing moves before the Boogie Woogie Flash Mob, there will be a swing steps teaching at 3 p.m. Thursday by the SAC.